"Our footsteps are the road. There is no road, the road is made by walking. By walking one makes the road, and upon glancing behind one sees the path that never will be trod again." Kildare Ministries was officially launched in Melbourne on 18 March, 2014 and in Sydney on 31st March, 2014. It comprises the educational and community works formerly governed by the New South Wales Province of the Brigidine Congregation, the Victorian Province of the Brigidine Congregation (www.brigidine.org.au) and the Presentation Congregation of Victoria (www.presentationsociety.org.au). Kildare Ministries has received the authority to act as a Church body (Public Juridic Person). Significantly, this new structure will involve people at all level of governance of its educational and community works. The collaboration and participation by lay colleagues reflects the response to the call of Vatican II for religious to rethink the sharing of mission and to recognise the call of all the baptised to contribute to the leadership of the Church. 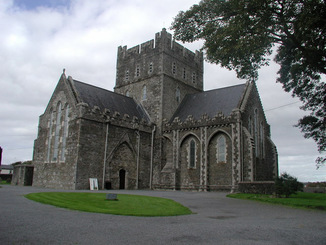 Kildare Ministries takes its name from the Irish Cill Dara, Church of the Oak. It links to the spiritual heritage of St Brigid, Patroness of Ireland, and to the ancient order of St Brigid of Kildare, which existed in Ireland from the fifth until the sixteenth century, when the monasteries were suppressed. Bishop Delany chose St Brigid as patroness of the Congregation he re-founded in 1807. The name Kildare is also significant to the Presentation Congregation. Presentation Sisters from Kildare in Ireland, established a foundation in Wagga NSW in 1874 and from there they established a community in Elsternwick, Melbourne. The artwork provided by Reba Woodwiss csb was the artistic basis for the digitalized version of the Kildare Ministries logo. The circle encompasses and embraces the flame and cross, while remaining open. The clean, tapered lines gives a sense of movement and grace. The flame, the light of God, burns bright for all to see—it is the dominant, lively element within the logo. The sweeping energy of the two parts of the flame is echoed slightly in the curved vertical and horizontal lines of the cross. The cross, the sign of Christ who died for all and loved all, is nestled within and emerging from the flame. There is a triune quality to the logo—God (represented by the circle), the Holy Spirit (the tongues of fire) and Christ (the cross). Together as one, but three persons. 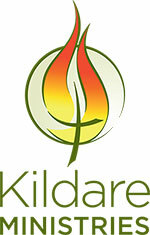 The logo signifies the energy and leadership of Kildare Ministries, and the continued commitment of the Brigidine and Presentation Sisters to ministry.